M. G. Chakrapani was 75 years, 7 months	& 4 days old age. M. G. Chakrapani was born on 13-01-1911 in Palakkad in the state of Kerala, India. He was an Indian Film Actor. 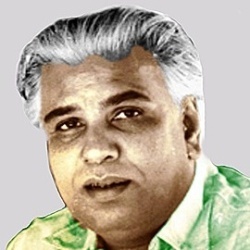 H died on 17-08-1986 in Chennai in the state of Tamil Nadu, India at the age of 75.